Let’s be honest here: Apple failed to wow the masses with its iPad Mini announcement. The sad truth is even though the company turned off a huge crowd of iFiends, primarily ‘new’ iPad owners, there’s still a huge market of consumers lined up to purchase the next-gen tablet. And if you fall under that category, this post is for you. All of Apple’s mobile devices have proven to be fragile creations. So with that said, you’re practically obligated to invest in an insurance policy: a protection case so to speak. With so many to choose from, we narrowed down the selection to put you onto the best and most stylish of the bunch. 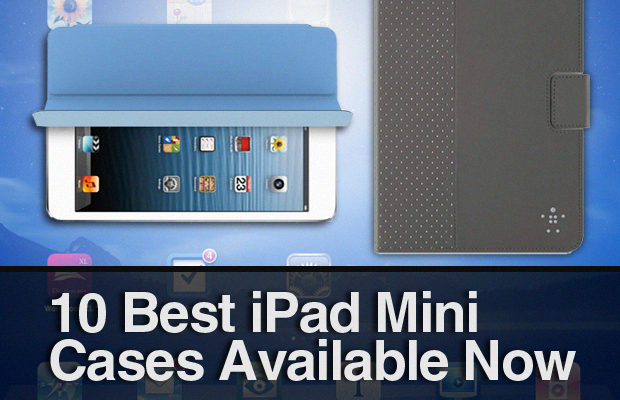 So before jumping on the generic plastic case near the cash wrap, look over the 10 Best iPad Mini Cases Available Now. Where is the list? I can’t find it anywhere.